Skutis Corporation is proud to announce that skutis’ riders can now equip their skutis with our new customized outdoor LED underbody light kit! The kit comes with remote control and allows riders to choose between 16 colours. The colours will shine from below your battery box straight on the ground. Riders have the choice between different shades of blue, purple, red, yellow, green, or they can choose one of four special light modes. They can then adjust the brightness of the lights. The projection of the LED makes rides really special and enjoyable. The kit also enhances the level of safety. Riding skutis is already safe, and safer than riding motorcycles, but using our new LED light kit will increase your visibility, making your nightly ride with skutis even safer. The LED lights are controlled through a remote control. 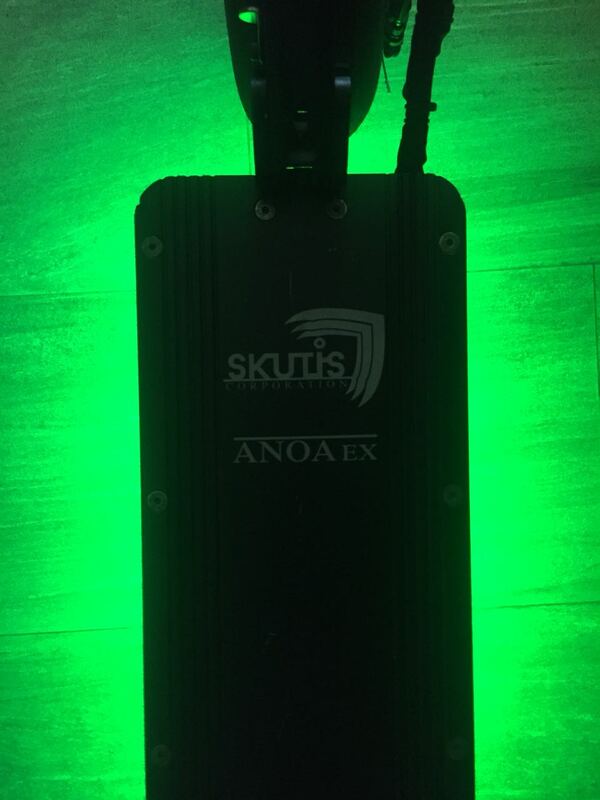 The kit and the LED lights will not reduce the endurance of your main skutis battery, because it comes with an external 12 V / 2,6 Ah lithium battery. This external 12 V battery by Skutis Gear has an on/off button as well as an indicator that will constantly display the battery level. The battery easily lasts for a whole night or day. This kit is customized for our skutis, but people riding bicycles or motorbikes can also easily install the kit on their vehicle, making their rides more safe and pleasant!